When it comes to making sure that your pets are taken care of this summer, one of the best things that you can do is to invest in flea and tick prevention and heartworm treatment for dogs. Visit your local veterinary clinic in Dartmouth and ask about specific options available that will provide you with comprehensive summer care for pets in Massachusetts. Seasonal pet care is different all across the nation, but even right here in New England. Concerns by veterinarians in Maine might be different from those of your South Coast veterinarian here at home. Make sure to schedule an appointment for a check-up at Anchor Animal Hospital to get your pets on a healthy regimen to keep them safe this summer season. Some people are blessed enough not to ever have a problem with fleas, however if you have ever experienced it first hand, you know that it can be a horrible and dangerous situation. Flea and tick prevention is the best treatment, ensuring that your cat, dog or other furry friend never has to deal with the painful and frustrating experience of having external parasites. Even if your pet is mostly an indoors animal, a simple walk to the park or an unexpected escape out the front door, could be all it takes to become infested. FLEA FACTS – The most common parasite that targets domesticated animals, fleas are wingless insects that can jump as much as two feet high. They make their homes in your pet’s fur and feed off their blood. Fleas can live anywhere between 13 days and 12 months, depending on the conditions and fresh supply of blood. During their lifetime, they can produce millions of other fleas, keeping your home and pets in constant distress year-round. The entire life cycle of a flea, from eggs to larvae to pupae to adults, can happen in as little as three weeks. 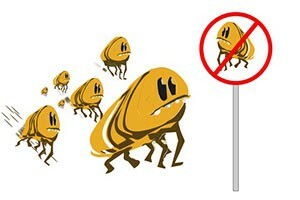 A female flea can deposit as much as 50 eggs per day. Fleas carry and transmit dangerous diseases, including tapeworm disease, Bartonella, anemia, flea allergy dermatitis, feline infectious anemia and the Bubonic Plague. Even if you just see ONE FLEA there could be hundreds of thousands more that are at other less visible stages who are maturing and increasing in number. Left unchecked, a heavy infestation can develop in a matter of days. It is important to get a good flea and tick prevention treatment from your South Coast veterinarian before you see a single flea. While there are options available at local pet stores and even grocery stores, the treatments available at your veterinary clinic in Dartmouth are proven to be more effective, killing fleas at all life stages. This can help you to avoid flea problems now and prevent future infestations as part of your overall summer care for pets in Massachusetts. TICK FACTS – People who live in the northeastern states are well aware of the danger surrounding ticks and tick infestations. Diseases can be spread from ticks to animals and to humans, causing painful and even life-threatening results. It is important to speak to your vet about flea and tick prevention, not just for the health and well-being of your pets, but also for your entire family. Ticks can live up to two years even in extreme weather conditions. Most ticks are born carrying disease and they become carriers of other diseases by feeding on wild animals. A female tick can lay up to 3,000 eggs at one time and will consume up to 600 times her body weight in blood before she lays them. The Black Legged tick is known for carrying Lyme Disease and the American Dog and Brown Dog ticks are known to carry Rocky Mountain Spotted Fever. Again, it is important to visit your veterinary clinic in Dartmouth for the best flea and tick prevention. While tick prevention options are available at pet stores and grocery stores, usually in conjunction with flea prevention treatments, they are not as effective as what you can get from your South Coast veterinarian. OTHER PESTS – In addition to flea and tick prevention, pet owners in New England should also consider a treatment that includes kills and repels mosquitoes. Mosquitoes are responsible for spreading the disease known as heartworm, which can affect both dogs and cats. Heartworm treatment for dogs is expensive, painful and not 100 percent effective. It is even less effective in cats. The best treatment is to prevent the infection from happening in the first place with proper summer care for pets in Massachusetts. Mosquitoes also spread West Nile Virus, Eastern Encephalomyelitis and can reproduce wherever there is standing water. Biting flies, sand fleas, mites and lice are other common pests that can be prevented through proper treatment at your local veterinary clinic in Dartmouth. Biting flies can drive your pets crazy, but they can also spread diseases such as fly bit dermatitis, secondary infections, Tularemia and Fly strike. Mites are everywhere and can be found on humans, pets, birds, reptiles and even on fish. Lice are even more dangerous and in severe cases, can consume up to a quarter of a dog’s blood, as well as cause intense itching, sores and balding spots. With the summer season getting into full swing and many of these parasites and pests also increasing in numbers during the warmer months, it pays to come visit your South Coast veterinarian at Anchor Animal Hospital for flea and tick prevention, heartworm treatment for dogs and other preventative treatments for other common parasites. Give us a call or come by the veterinary clinic in Dartmouth to find out more about the options available to South Coast residents and their pets. Call Anchor today at 508-996-3731.